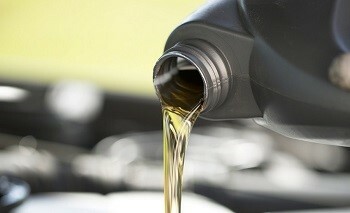 Amity drivers who require a professional oil change always head to Middletown Honda. They know that they can trust our certified technicians, and that all work will be completed to a high standard. Take Pulaski Hwy, NY-17A W and NY-17 W to NY-211 E in Scotchtown. Continue for 17 miles. Take exit 120 for NY-211 toward Middletown/Montgomery, turn right onto NY-211 E, and then find us on the right at 520 New York 211 in Middletown. Your automobile is made up of many moving parts; when these parts move against each other without lubrication, it creates heat, something that will rapidly wearing down those parts. Oil lubricates the engine and absorbs heat to stop that from happing, but it breaks down and wears out over time. Dirt will also tend to accumulate within the oil-lines, eventually clogging the filter and necessitating a costly repair job. To keep your engine from overheating or breaking itself apart, you need regular oil changes. This is the case even if you only drive a few miles each day, since oil breaks down faster when the engine isn’t allowed to run for a long time. There’s no reason why Amity drivers can’t conduct an oil change themselves, but it just makes more sense for them to come down to Middletown Honda. To start with, our state-of-the-art service center is manned by a number of highly training and experienced technicians who will get the job done quickly. More importantly, this is a perfect opportunity for them to have a quick look beneath the vehicle and under its hood to check for problems which could become major in the future. This often ends up saving both time and money in the long run. Additionally, you can schedule other services at the same time, such as a wheel rotation. Oil changes are necessary to keep your car running in peak condition, so make sure you don’t ignore the task, and come down to Middletown Honda at your earliest opportunity. We look forward to serving our Amity customers soon!